While commuting via bike in the city cuts down on traffic headaches and parking nightmares, it's not always easy to carry your belongings on the ride. Backpacks help, and DUCKS IN A ROW Backpacks, not only make it easier to carry your stuff, they were designed especially for urban commuters and have features that will make the commute easier. As I mentioned, DUCKS IN A ROW Backpacks were designed especially for the urban commuter. 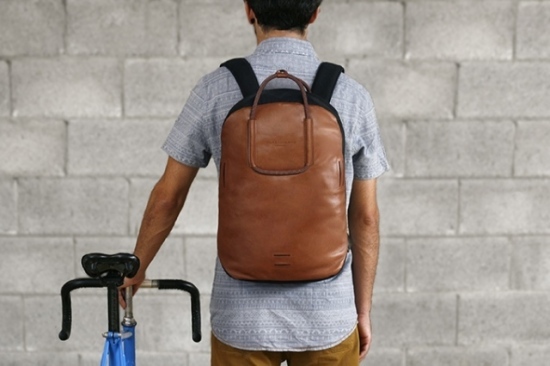 These backpacks are made of the finest vegetable tanned leather. They are sleek and elegant in appearance, and compact yet efficient in function. These backpacks employ a padded back and padded shoulder straps for added comfort, and can be accompanied by a rain resistnt cover. Couple all of the features DUCKS IN A ROW Backpacks have with its elegant design and you have a backpack that's perfect for commuting and fits right into the "business decor" of the office. Let's start with the most basic features. As I've already mentioned, the DUCKS IN A ROW Backpacks employ padded shoulder straps. They also have carrying handles for when you just want to grab your bag and go. There's a quick access pocket at the top for your keys, cash and anything else you may need to get to quickly. 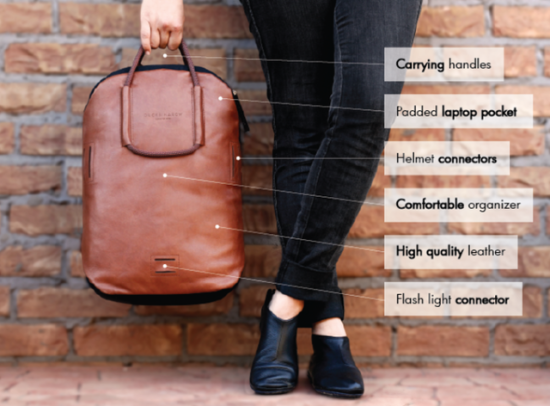 And the inside of the bag is designed in such a way to allow you to organize your gear efficiently. On the inside, there is a padded laptop holder that will secure laptops and tablets up to 15 inches long. There is also space for your notebooks, folders, pens and anything else you may need for work (earplugs, small flask, etc). 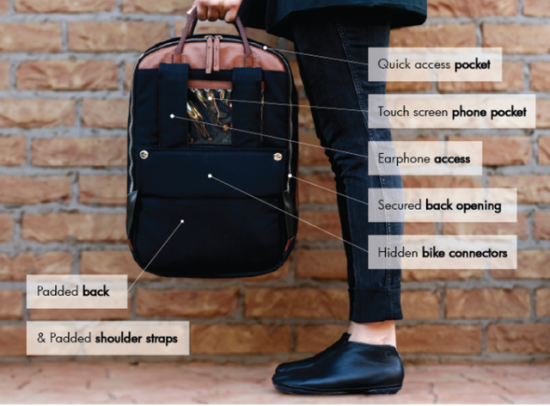 On the outside, DUCKS IN A ROW Backpacks feature two connectors where you can snap in your helmet and a connector for a light, so that the backpack becomes a beacon of safety at night. 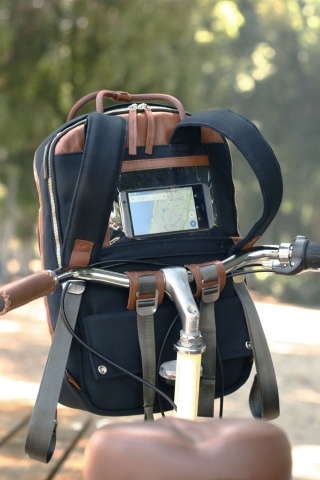 Perhaps my favorite features are the clear, touch screen phone pocket and the hidden bike connectors. 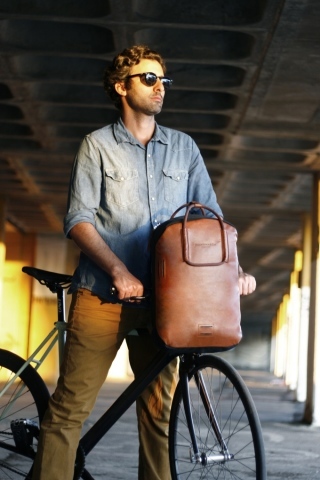 The bike connectors allow you to hook the bag to the handlebars of the bike. When you do this, the bag is positioned in a way that you are able to see your phone's screen. This allows you to use your phone's GPS to navigate around your city. DUCKS IN A ROW is currently running a Kickstarter campaign to fund their project. You can check out that site to pre-order your own and to find out more info on their awesome product. Calling Physical & Conceptual Product Inventors To Win The Spark Design Awards 2013!